The NUIFC is continuing to evolve and grow under the leadership and guidance of the board of directors, which was once its “Steering Committee” before it formally incorporated as a 501c3 nonprofit organization. The board of directors is intentionally comprised of Executive Directors and representatives from Urban Indian organizations. 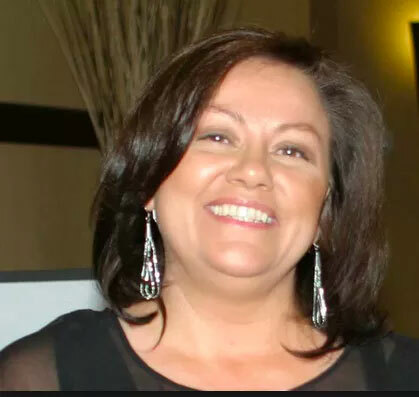 Patricia K. Hibbeler, ABD, MA is the Chief Executive Officer of the Phoenix Indian Center, Inc., an organization with a 64-year history and the first urban based Indian Center in the Nation. She raises funds for the Center and provides direction in operations and evaluation of the non-profit organization, specializing in workforce development, educational programming, social services and language and culture revitalization. Sheri has 24+ years community-based services in the American Indian Community. Experiences include; program development, management and community outreach for direct service, nonprofit organizations; Director for the Indian Child Welfare Program at the Minneapolis American Indian Center past 14+years. Having served as board or advisory on numerous committees and appointments over the years; National Urban Indian Family Coalition, MN DHS Indian Child Welfare Advisory, Ombudsperson for American Indian Families, Our Children Our Future and Citizen’s Review Panel for both Washington & Chisago County. Ramon has been the Executive Director of the American Indians in Texas at the Spanish Colonial Missions since 1998. AIT is a non-profit organization located in San Antonio. The American Indians of Texas serves the indigenous population of Central and South Texas. Ramon has spent the last 6 years specifically working on community mobilization and Community/Academic partnerships. Primarily focusing on the mobilization of men in the areas of domestic violence, promoting positive images on fatherhood and confronting male stereotypes and falsehoods. He is the Co-Founder and Vice President of the Land Heritage Institute Foundation, Co-Founder of the American Indians in Texas Institute and Co-Founder of the National Urban Indian Family Coalition. For a complete list of the board of directors, please contact Janeen Comenote, Executive Director.